A dream house with lifetime views makes your life beautiful forever. Piramal Realty’s current project Piramal Mahalaxmi at Mahalaxmi Dhobi Ghat south Mumbai will sure make this dream possible. Piramal Realty and Omkar Realtors jointly launch this special residential project in the mid of Mumbai. The newest contemporary development in South Mumbai is Piramal’s flagship project which covers nearly 4+ acres. Piramal Mahalaxmi is the project going to be launched soon with fine quality and customer centricity. The project resembles the life in world class metropolitan cities like in London, Hongkong, etc. The one thing which can draw you towards Piramal Mahalaxmi is its lifetime views. The luxurious 2 and 3 Bed residences offers you the fantastic view of elegant Arabian Sea, 225 acre Racecourse, view of Willingdon sports club and expansive Mumbai harbor. One more advantage which gives pleasure to customers is its location at the famous Dhobi Ghat Mumbai. Call us +919958959555 to book your home with our assistance. The Piramal Mahalaxmi offers 100% buy back assurance and its success story started early 2012. Its achievement is high since 2012 and has earned a great trust among Mumbai people within these years. The launch details of Piramal Mahalaxmi are out. Many people may have been waiting to hear about its official launch date and offers given. 2 BHK residences offer the view of Harbor and cover around 739 to 805 sqft. Price of 2 BHK starts from Rs. 290 Cr. If you are willing to purchase 3 BHK(S) which is around 1041 to 1066 sqft from where you can view the beauty of Arabian Sea and the famous 225 sqft wide Mahalaxmi Race course. The home will give you the feel of being in a paradise. Buy it soon by investing Rs. 4.68 Cr. 3 BHK (L) which showcase the view of Race course and Arabian Sea starts from Rs. 6.49 Cr. The carpet area of the large residence is around 1378 to 1390 sqft. 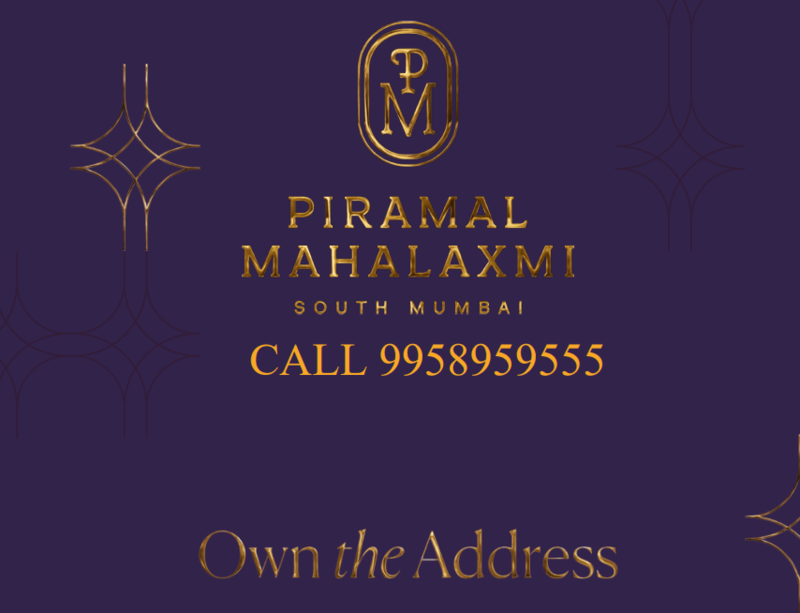 Call us +919958959555 to know the details of the Piramal Mahalaxmi by Piramal Realty. Get our assistance to own an address of your choice in the mid of South Mumbai. Pay 20% spread across 1 year time duration! 20-50-30 plan is also available and interested can call us 9958959555 to know the special discounts. Booking window starts from 18th to 29th April 2018. Don’t miss this opportunity to own your flat at Mahalaxmi Lower Parel. Piramal Realty has successfully completed nearly 4 residential projects which gives pleasant residences to live a luxury life in metropolitan cities. Now Piramal Mahalaxmi is going to be the one in that list the project location is in the centre of the city which connects all financial hubs of Mumbai. Following business districts are available within 15 km distance. Everyone will search for the home nearby the reputed educational institutions to provide the best education to their kids. And Piramal Mahalaxmi is well planned with all the requirements which also include best institutions near the home. You can access most of the famous places within 30 minutes drive. Contact us +91-9958959555 to know more about the high rise towers which raises nearly 45 floors in Piramal Mahalaxmi. The Piramal Mahalaxmi residential project has all the unbeatable amenities which attract every residences choosing Piramal Mahalaxmi to make it as their address. The amenities give the feel of staying in the heaven during their lifetime. Owning a new address in South Mumbai which has the fusion of cosmopolitan heart and rich culture is a difficult task. So don’t miss this wonderful opportunity to invest your savings here. Call us +919958959555 to book your flat with special discounts.